Thank you, Don and Jan, for another great experience of buying a home. Yet again, you have shown that you truly care about people, and profit or closing the sale is secondary. From spending two hours digging in snow to locate a water valve, to clearing a path to the house, to making us feel like we were the only people you were representing, you have once again shown that caring for people is far more important than closing the transaction. In recent times we have all seen Realtors come and go, sacrificing ethics for profit. And never has it been more important to have a trusted, knowledgeable and ethical Realtor who has the proven history and relationships in the community to provide prospective on every aspect of the sale. 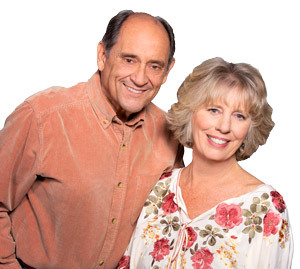 Don and Jan are two of the most tenured Realtors in the Tahoe area, who are practical, pragmatic and focused on their clients desires and needs. This assures that every nuance and detail of the transaction will be considered so that everyone is satisfied. Our relationship began after close friends referred us to Don and Jan, and after 25 years, we are proud to call them our friends. Look no farther for your long-time Realtors, you will not find any better than the Bosson and Bossson team! Here’s to another 25 years!